It is looking really good. I like the idea of a drapey coverlet. Of course, the weather is warm here. 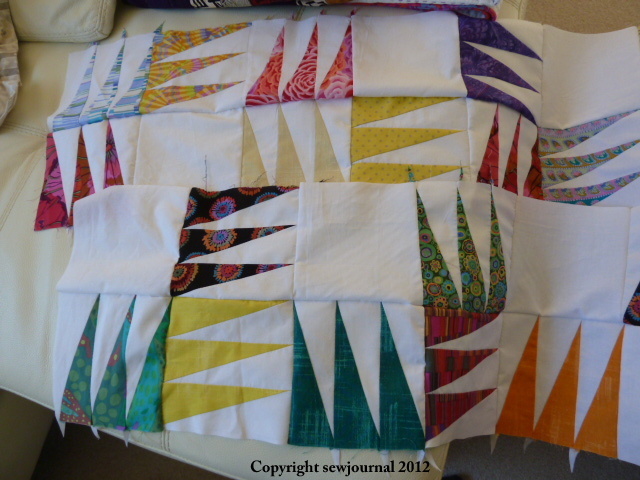 If it was winter, I might say quilt it, quilt it! I have a problem with deciding which goes where. 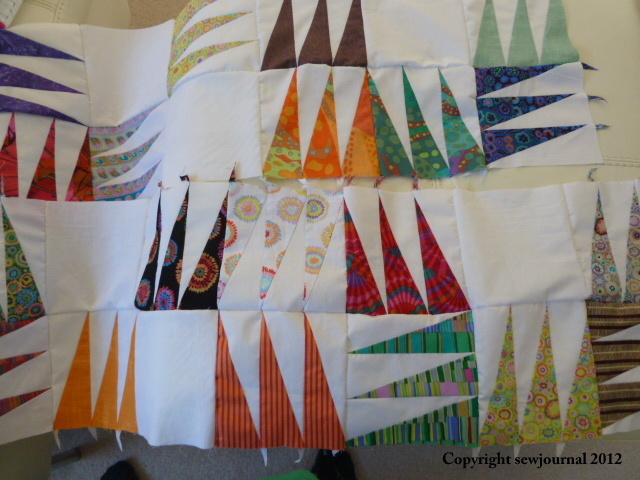 I probably shouldn’t quilt with so many insecurities…..lol. you are challenging me to grow! lol My sense of “order” fainted when it saw that you took the liberty to put your blocks in any order you wanted. 🙂 I love it though and have to tell you this is not the first time you “rattled” my strictness into a different thinking. Thanks for making me grow in a different direction! That being said: if you choose it as a coverlet would you still quilt it only without batting? Is that even possible? Or would it be like a duvet cover? How lovely that you find some inspiration to try new things from quilts. I’m thrilled. If I do make it into a coverlet I will still “quilt” it just without the batting. I found some really thin cotton batting Munaiba, almost like flannelette, which would give it a bit more body, but still allow it to drape well… only trouble is that I can’t remember what it was called!